Dot McClendon is first and foremost a people person. She has been teaching science and math for 56 years. She also serves as pastor of Homeseekers Bible Church in Wesson, MS. She is the primary author of the teaching modules in Jumpstart and has found its unique approach helps students of all academic ability levels stay fully engaged and gain the most improvement in the shortest time. She has mastered a technique of explaining difficult content in a way that every student can follow and understand. Score improvements by her students have led to acceptances into major universities accompanied by financial scholarships, which has opened the door to higher learning for many who would have never been accepted or able to afford college on their own. Like many educators, Dot’s passion for teaching was ignited by “seeing the light come on in a student’s eyes,” the exuberant moment when a student finally understands the material. This passion led to helping students prepare for the ACT® through private tutoring and live classroom events. After more than 40 years of dedication, few professionals are as qualified to provide exam preparation as Dot. Dot has received numerous school, community, district, and state awards through the years, but says her best award comes when a student says, “I raised my score!” She is humbled and honored to have been selected nineteen years through the STAR teacher program, wherein the top ACT scorer in a school selects his/her most influential teacher. She has been inducted into the STAR Teacher Hall-of-Fame and recognized as one of the top five educators in the Mississippi Teacher of the Year program. Through Jumpstart Test Prep, her legacy of helping students will remain intact and allow many others the benefit of her proven approach. Dot received her Master of Science degree in both chemistry and biological sciences from the University of Mississippi and her Bachelor of Science degree in chemistry with a minor in biological sciences from Mississippi College. 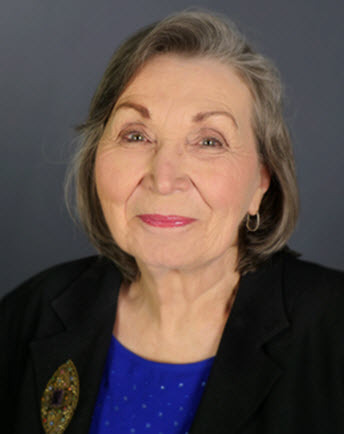 A lifelong educator, Dot has taught at Copiah-Lincoln Community College, Brookhaven High School, and West Lincoln High School and currently teaches at the Mississippi School of the Arts. She is certified to teach chemistry, physics, biological sciences, and mathematics. Dot was married 26 years before becoming a widow. She reared two daughters and a godson, and she enjoys four grandchildren. She resides in Brookhaven, MS.